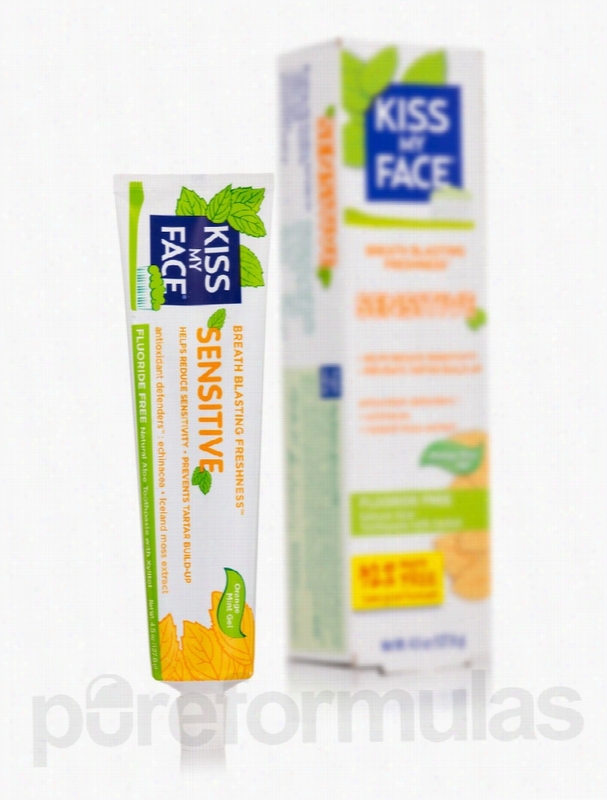 Kiss My Face Oral Health - Organic Sensitive Toothpaste With Natural. - Fluoride Free. Natural Aloe Toothpaste with Xylitol.- Breath blasting freshness.- Orange Mint Gel.- Antioxidants defenders: Echinacea. Iceland moss extract.- 32% more free.Uses: Helps relieve sensitivity due to cold&sbquo; heat&sbquo; acid or sweet. Aids in the prevention of plaque and tartar build-up.Brushing with Sensitive Gel helps to:- Reduce tooth sensitivity.- Whiten teeth.- Remove plaque.- Prevent tartar build-up.Help keep your mouth healthy and feeling with nature's most trusted ingredients:- Tea Tree Oil.- Aloe Vera.- Echinacea.- Xylitol.- Silica.- Peppermint.Besides whitening teeth and soothing gums&sbquo; this great tasting natural aloe gel will help desensitize teeth with the addition of the clinically proven&sbquo; naturally occurring potassium nitrate. Natural cool Orange Mint formula helps reduce painful sensitivity of the teeth to cold&sbquo; heat&sbquo; acids&sbquo; sweets or contact. Free from Fluoride and SLS&sbquo; and without artificial sweeteners&sbquo; colors or preservatives. These statements have not been evaluated by the Food and Drug Administration (FDA). These products are not meant to diagnoseÃ¢ÂÂ treat or cure any disease or medical condition. Please consult your doctor before starting any exercise or nutritional supplement program or before using these or any product during pregnancy or if you have a serious medical condition. 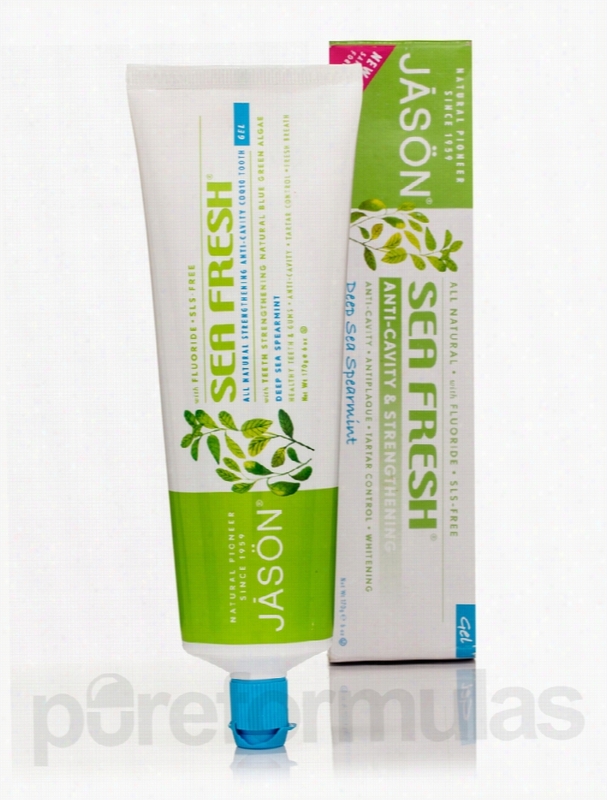 Jason Natural Products Oral Health - Sea Fresh Strengthening. Sea Fresh Strengthening Anti-Cavity CoQ10 Toothpaste with Fluoride 6 oz (170 Grams) from Jason&reg; Natural Products is a gluten-free toothpaste that helps fortify your teeth and gums. It helps to maintain healthy and bright teeth&sbquo; leaving you with minty fresh breath. This formula contains blue and green algae (Aphanizomenon Flos-aquae) that is rich in proteins&sbquo; B vitamins&sbquo; iron&sbquo; calcium and Antioxidants. It could also possess anti-inflammatory properties and promote healthy teeth and gums. Coenzyme Q10&sbquo; also called ubiquinone due to its ubiquitous nature&sbquo; may have antioxidant properties and help in maintaining healthy gums and teeth. Aloe vera present in this product from Jason&reg; Natural Products is rich in vitamins and minerals that could promote gum health and also possess natural antimicrobial properties. Spearmint oil is an antiseptic and imparts a pleasant and mild flavor to this toothpaste. Parsley extracts contain volatile substances that aids in maintaining fresh breath. Restore balance in your teeth and gums by switching to Sea Fresh Strengthening Anti-Cavity CoQ10 Toothpaste with Fluoride 6 oz (170 Grams) from Jason&reg; Natural Products. These statements have not been evaluated by the Food and Drug Administration (FDA). These products are not meant to diagnoseÃ¢ÂÂ treat or cure any disease or medical condition. Please consult your doctor before starting any exercise or nutritional supplement program or before using these or any product during pregnancy or if you have a serious medical condition. 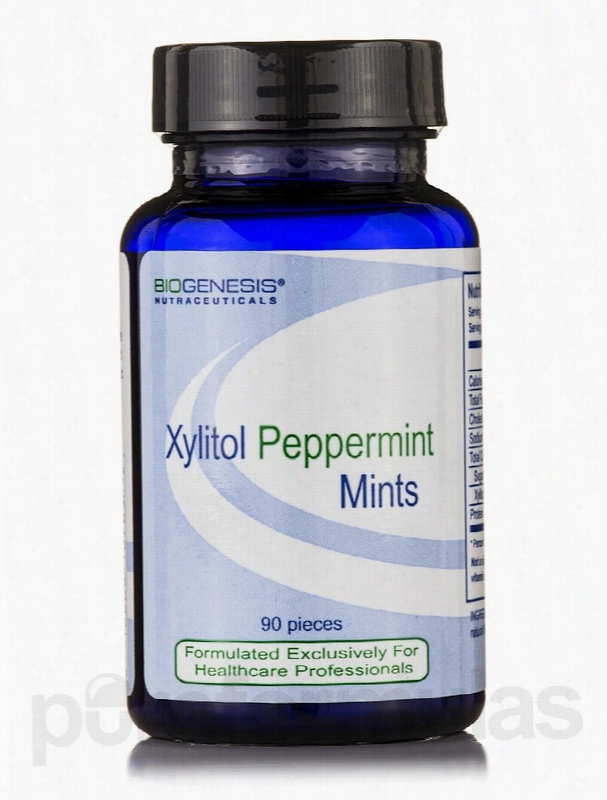 Biogenesis Nutraceuticals Oral Health - Xylitol Peppermint Mints - 90. XYLITOL PEPPERMINT MINTS AND XYLITOL FRUIT GUM are two great-tasting new ways to help prevent cavities&sbquo; plaque&sbquo; bad breath&sbquo; and ear infections&sbquo; and to support blood sugar. Numerous studies have been done on xylitol including WHO Hungary 1981-84&sbquo; Ylivieska clinic studies 1982-85&sbquo; Montreal 1985-86&sbquo; and Belize 1989-93. These studies employed various modes of administration&sbquo; such as gum&sbquo; toothpaste&sbquo; and confectionery. The subjects studied were of all different ages. In each of the cases&sbquo; the same trend has been observed&sbquo; demonstrating that xylitol significantly reduces the incidence of tooth decay when compared to controls who did not receive xylitol. The most recently conducted major study (Belize 1989-93) was also the first to directly compare the efficacy of xylitol and sorbitol gums. Children in the xylitol group showed a 70% lower risk than the &ldquo;no gum&rdquo; group and an almost 50% lower risk than those in the sorbitol group. Xylitol has shown itself as an extremely valuable tool in preventative dentistry.Product Highlights:- Great tasting.- Helps prevent cavities.- Has 40% fewer calories than sugar.- Low glycemic index (7).- Helps prevent ear infections in children. These statements have not been evaluated by the Food and Drug Administration (FDA). These Products are not meant to diagnoseÃ¢ÂÂ treat or cure any disease or medical condition. Please consult your doctor before starting any exercise or nutritional supplement program or before using these or any product during pregnancy or if you have a serious medical condition. 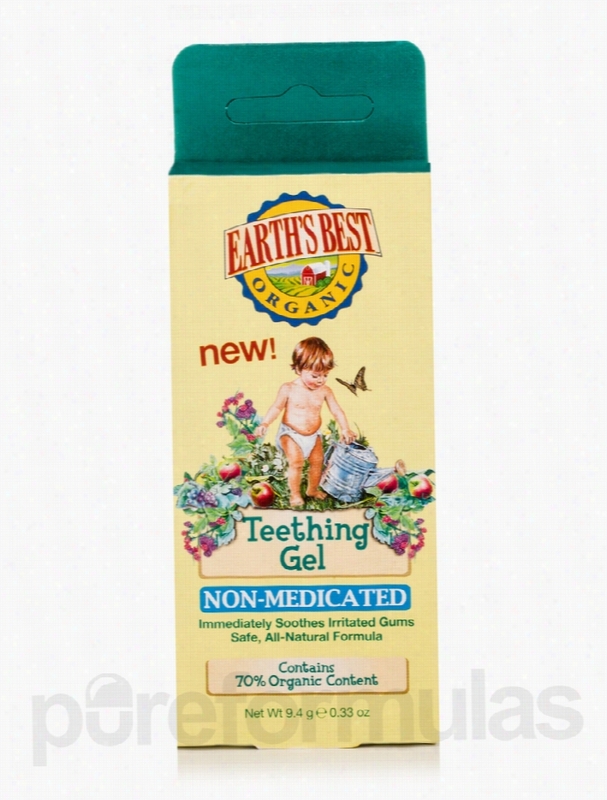 Jason Natural Products Oral Health - Organic Teething Gel. This all-natural&sbquo; non-medicated and non-habit forming formula safely comforts your baby day and night during teething. Made with only natural calming ingredients such as peppermint oil&sbquo; licorice&sbquo; fennel&sbquo; vanilla and chamomile it does not contain benzocaine or clove oil which can cause allergic reactions or choking in infants&sbquo; nor does it contain sugar or lactose.Benefits of Teething Gel:- Contains 70% Organic Content.- Hypo-Allergenic.- No Sodium Lauryl/Laureth Sulfate or Sodium Methyl Sulfate.- No Mineral Oil or Petrolatum.- No Parabens or Harsh Preservatives.- No Synthetic Fragrances&sbquo; Colors or Phthalates.- 100% Vegetarian&sbquo; No Animal Testing. These statements have not been evaluated by the Food and Drug Administration (FDA). These products are not meant to diagnoseÃ¢ÂÂ treat or cure any disease or medical condition. Please consult your doctor before starting any exercise or Nutritional supplement program or before using these or any product during pregnancy or if you have a serious medical condition. 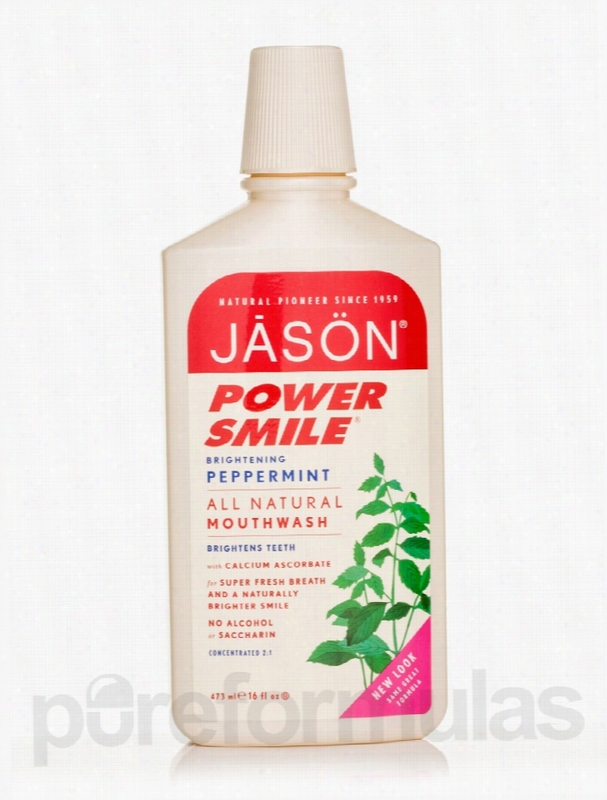 Jason Natural Products Oral Health - PowerSmile Brightening Mouthwash. Freshen your breath and keep your smile bright&sbquo; without harsh abrasives or irritating chemicals. PowerSmile&reg; all natural mouthwash extends the whitening power of PowerSmile toothpaste with Calcium Ascorbate&sbquo; a form of Vitamin C.Freshens your breath with powerful Peppermint Oil and Menthol while Natural Grapefruit Seed and Perilla Seed Extracts help reduce tartar build-up while Aloe Vera Gel soothes gum irritation. For a brilliantly white smile and fresh breathe&sbquo; use JASON&reg; PowerSmile&reg; toothpaste and mouthwash twice a day. The JASON&reg; natural mouthwash promise:? No Alcohol? No Saccharin These statements have not been evaluated by the Food and Drug Administration (FDA). These products are not meant to diagnoseÃ¢ÂÂ treat or cure any disease or medical condition. Please consult your doctor before starting any exercise or nutritional supplement program or before using these or any product during pregnancy or if you have a serious medical condition. 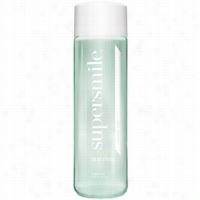 Supersmile Clinically Formulated Oral Rinse 16oz. Supersmile Clinically Formulated Oral Rinse provides much more than just long-lasting fresh breath; with regular use as part of the Supersmile Oral Care Maintenance System, this winter-fresh mint flavored mouthwash will help keep teeth clean, aid in preventing the formation of plaque (that can often lead to serious oral care problems, such as gingivitis) and provide long-lasting germicidal protection by actively eliminating the bacteria that can cause bad breath. Fresher breath and cleaner teeth! Nature's Answer Oral Health - PerioRub Topical (Cool Mint) - 0.5 oz. 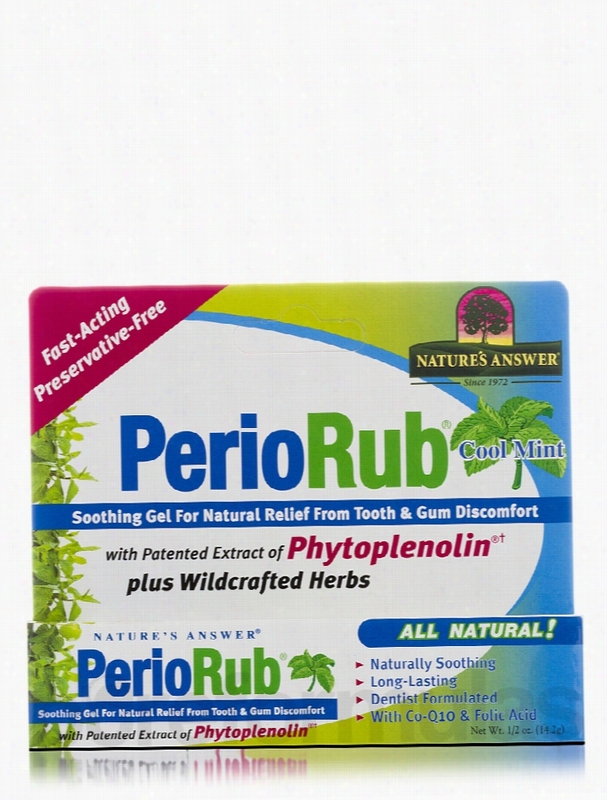 PerioRub for Periodontal Health&trade; is a natural gel that offers fast&sbquo; effective&sbquo; long lasting relief from tooth and gum discomfort. Their proprietary Vegetarian formula contains soothing responsibly wildcrafted herbs plus essential oils. These ingredients work together to calm tooth and gum distress PerioRub&reg; also freshens breath&sbquo; while promoting healthy gum tissue. It is further enhanced with Phytoplenolin&reg;&sbquo; a Holistically Balanced&reg; patented herbal extract that has been shown in independent laboratory studies to promote cell health. For the temporary relief of tooth and gum discomfort. 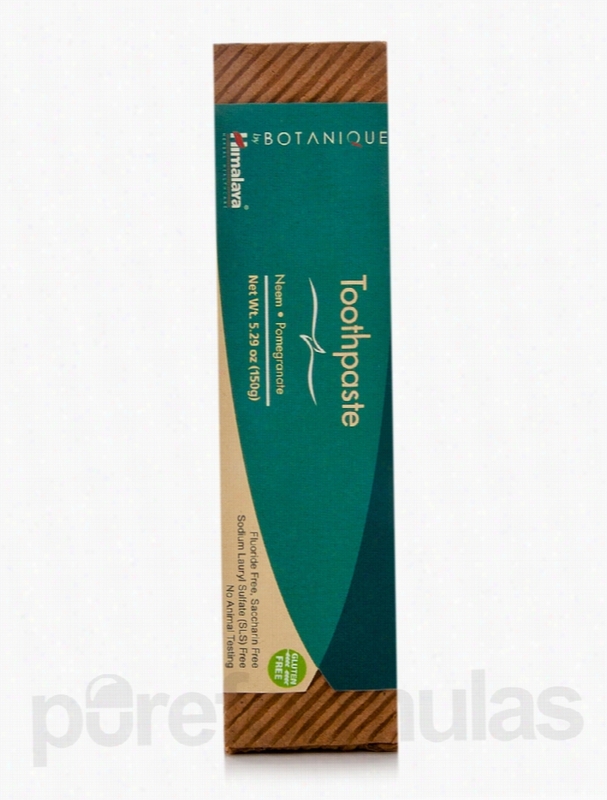 May also be used as an abrasive free toothpaste for sensitive teeth.Product Highlights:- Refreshing Cool Mint.- Fast-Acting.- Preservative-Free.- Patented Extract of Phytoplenolin&reg;.- Wildcrafted Herbs.- Naturally Soothing.- Long&ndash;Lasting.- Dentist Formulated.- Co&ndash;Q10 &amp; Folic Acid. These statements have not been evaluated by the Food and Drug Administration (FDA). These products are not meant to diagnoseÃ¢ÂÂ treat or cure any disease or medical condition. Please consult your doctor before starting any exercise or nutritional supplement program or before using these or any product during pregnancy or if you have a serious medical condition. Himalaya Herbal Healthcare Oral Health - Neem & Pomegranate Toothpaste. Fluoride and Saccharin Free - Fresh and minty taste!A mouth full of freshness&sbquo; a burst of exotic flavors and a smile you can count on. Dependable time tested ingredients like Neem&sbquo; Triphala and Pomegranate clean your teeth and promote healthy gums. Neem&sbquo; twigs of which were used traditionally to clean teeth&sbquo; gives this formulation its sparkle. Pomegranate helps promote healthy gums. Triphala has mouth freshening and astringent properties. You will smile brightly from the results with a fresh feeling mouth&sbquo; polished teeth and healthy gums!Purely Unique:1) Neem - A traditionally used botanical to clean teeth and help maintain integrity of gums.2) Pomegranate - An astringent fruit extract&sbquo; to soothe and tone.3) Triphala - A combination of 3 fruits (Amla&sbquo; Bibhitaki&sbquo; and Haritaki)&sbquo; traditionally known to support a healthy mouth.4) Xylitol from Birch - A tooth-friendly sweetener that helps to break down biofilms. These statements have not been evaluated by the Food and Drug Administration (FDA). These products are not meant to diagnoseÃ¢ÂÂ treat or cure any disease or medical condition. Please consult your doctor before starting any exercise or Nutritional supplement program or before using these or any product during pregnancy or if you have a serious medical condition. 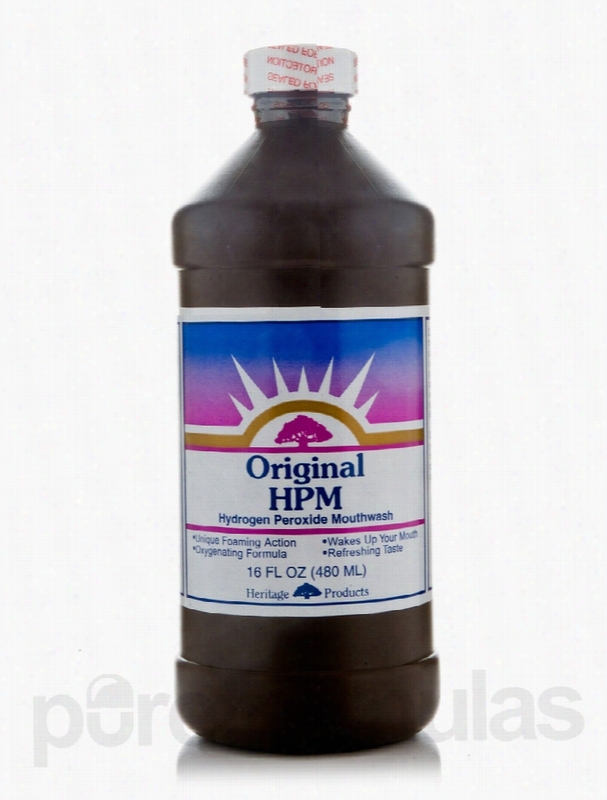 Heritage Oral Health - Original HPM (Hydrogen Peroxide Mouthwash) - 16. Experience The Fresh Taste Of CleanHydrogen peroxide is equivalent to chlorine dioxide-based mouthwashes in its ability to convert sulfides (the germs which cause halitosis) into sulfates. You can feel the oxygen-releasing molecules make your mouth come alive. We combined the powerful oils of eucalyptus&sbquo; menthol and thyme&sbquo; with filtered water and hydrogen peroxide&sbquo; to bring you an effective&sbquo; good-tasting mouthwash. These statements have not been evaluated by the Food and Drug Administration (FDA). These Products are not meant to diagnoseÃ¢ÂÂ treat or cure any disease or medical condition. Please consult your doctor before starting any exercise or nutritional supplement program or before using these or any product during pregnancy or if you have a serious medical condition. 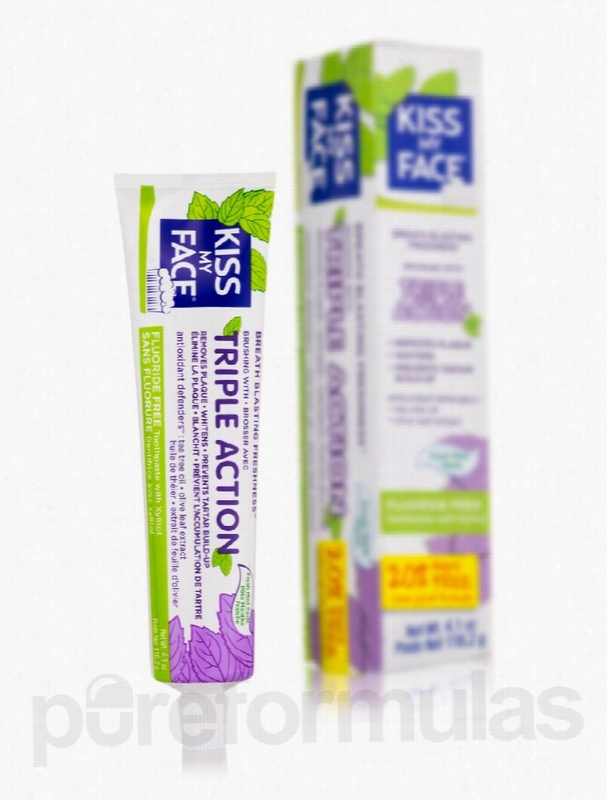 Kiss My Face Oral Health - Triple Action Toothpaste (Flouride Free) -. - Fluoride Free toothpaste with Xylitol.- Breath blasting freshness.- Fresh Mint Paste.- Removes plaque&sbquo; Whitens&sbquo; Prevents tartar build-up.- Antioxidants defenders: tea tree Oil. olive leaf extract.- 20% more free.One Kiss will give you Breath Blasting Freshness&trade; with great Peppermint taste.Triple Action Formula helps:&bull;Remove plaque with Xylitol &amp; Tea Tree.&bull;Whitens with Icelandic Moss.&bull;Prevent tartar build up with Zinc Citrate.Hey Kissers&sbquo; give us a smile! With shockingly great taste&sbquo; this effective formula helps your mouth feel healthy and fresh with Antioxidant Defenders&trade; and nature's most trusted ingredients: Tea Tree Oil&sbquo; Iceland Moss&sbquo; Olive Leaf Extract&sbquo; Xylitol&sbquo; Silica&sbquo; Peppermint.Now with 20% more so you can keep kissing longer... These statements have not been evaluated by the Food and Drug Administration (FDA). These products are not meant to diagnoseÃ¢ÂÂ treat or cure any disease or medical condition. Please consult your doctor before starting any exercise or nutritional supplement program or before using these or any product during pregnancy or if you have a serious medical condition.